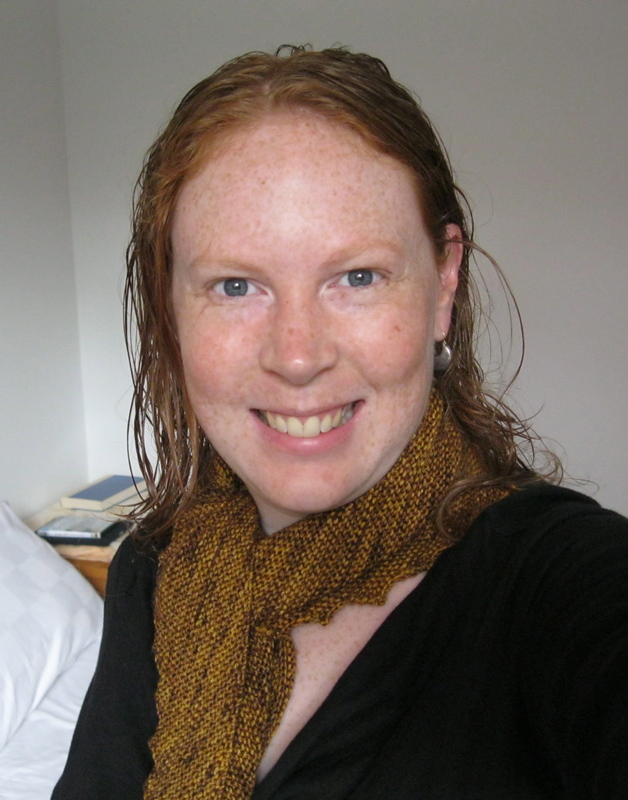 I bought the yarn for this scarf from Hazel Knits last year as a 30th birthday gift to myself. I had heard other knitters rave about Hazel Knits’ wonderful sock yarn, but at $24 a skein, it’s pricey. Definitely too pricey to make into a pair of socks! I love knitting socks (well, the first sock—the second can be a bit of a slog), but the sad fact is, they show their wear very quickly. If I’m going to buy one really special skein of yarn, I’m not going to make it into a pair of socks. Hazel Knits specializes in rich, variegated colors, and it took me days (I am not exaggerating) to decide which one I should pick for my single birthday skein. I finally settled on “Bronze Age,” a mixture of browns and golds. * I carefully brought it to China with me and then proceeded to let it sit in my small yarn stash for six months. After all, I had to find the perfect pattern to use on this special yarn. In April, I decided that the time had come for it to turn into something. I spent many hours (let’s not think about how many) searching through Ravelry for ideas before choosing the Hitchhiker scarf … which turned out to be an incredibly boring pattern to knit. However, I love the finished result. A true Hitchhiker will have 42 “teeth” along the edge (the name, and the number, come from The Hitchhiker’s Guide to the Galaxy), but I only had enough yarn for 36. No matter; this is one of those rare satisfying times when everything—yarn, pattern, knitting skill level—comes together and results in exactly the finished object that I had imagined when I started. And now, back to Chapter 5. 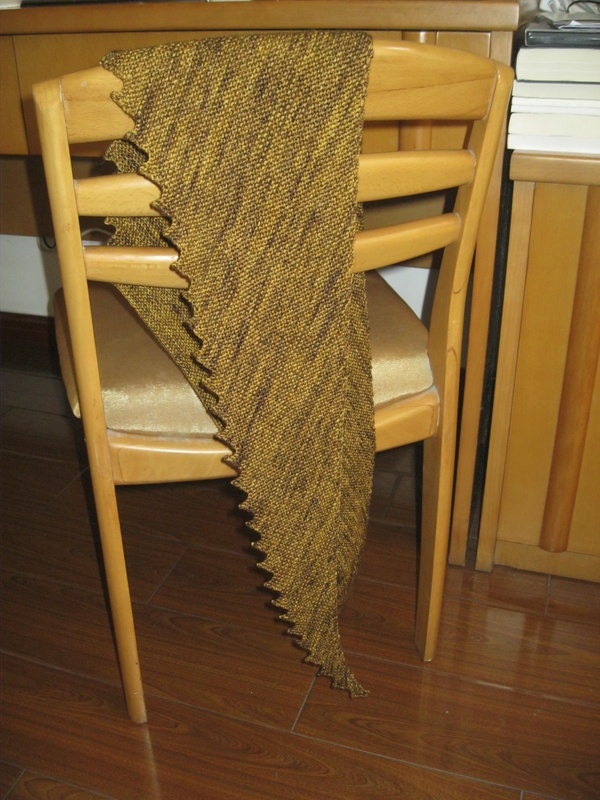 *I’m glad I chose Bronze Age when I did—I see that now it’s been placed “on hiatus” at Hazel Knits.